Gujarat Vidyapith / Pandit Dindayal Upadhyay Auditorium, Ahmedabad, India. 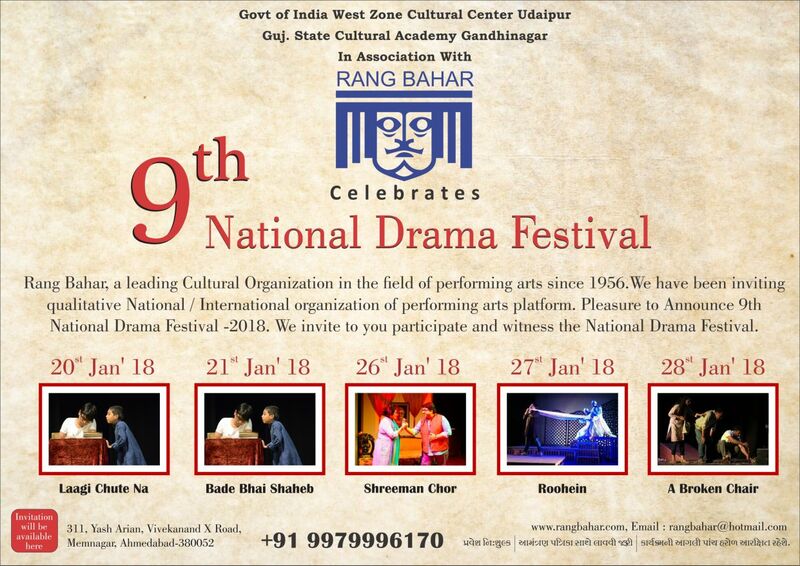 It is great pleasure to announce about our 9th National Drama Festival from 20th to 28th January 2018. Let us jointly celebrate the occasion with pride and welcome the participating groups from across the country. Let us together make the contributory chapter for our qualitative theatre movement memorable.